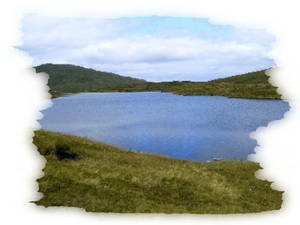 Ireland has on offer some of the finest game and coarse angling in the world. The sheer number of angling waters is just mind boggling. But before going fishing, lets begin with the basics. The first thing you need to fish anywhere in Ireland for sea - trout or salmon is the government licence. You can get them from tackle shops, hotels and fisheries boards. A light salmon rod, single or double handed; 10-12 foot long, fit to handle a class 8 or 9 line is just perfect for any of the north west's salmon and sea trout rivers. Floating lines with a short sinking tip are a favourite with the local angler. So, that's the tackle, and I'm sure you have a rod and line just about right to fish anywhere in Ireland. Do not open gates or park cars in fields.